Interview with Marlin Page, Founder of Sisters Code. Marlin served as a technology executive at a Fortune 500 company, Deputy CIO for the City of Detroit and is now CEO of a Tech Staffing Company. Laura Eagin is a teacher and co-organizer of Girl Develop It Detroit, a non-profit organization that brings affordable hands-on instruction to students eager to learn web development skills. By day she works as a freelance web developer and web designer for a dozen small businesses ranging from retail to real estate, tech startups, and non-profit organizations. She specializes in building beautiful, easy to use WordPress websites. Laura Eagin: No two days are alike and I love it. My office location, project and co-workers steadily rotate throughout the day. My time is divided between coffee shops, co-working spaces, a desk in a digital marketing office, and my home office. On a few evenings a month you’ll find me teaching a Girl Develop It workshop too or planning our next GDI event. I take my laptop with me wherever I go and I’m constantly communicating with clients via email, phone and Skype. It feels like a big juggling act and it puts all of my tech and communication skills to use. To top it off, I learn something new every day. In essence, I work my dream job. Sarah: What’s the highlight of your day? Laura: The highlight of my day is when I solve a difficult problem, and my second highlight is when I can respond to the client with the positive news. That’s because I have two relationships that I’m constantly managing: my relationship with the code when I’m molding it to do the exact thing that I need it to do, and my relationship with the client who has trusted me with the task. Sarah: What’s the most difficult part of your job? Sarah: What’s been your favorite job or project and why? Laura: After working with WordPress sites for several years, Girl Develop It gave me the chance to plan and teach my first WordPress workshop. My problem solving and communication skills went into overdrive. How could I convey the things I’ve learned the hard way, but make them easy for a beginner to retain? That first workshop showed me that there is an application for my technical skills outside of a day job where I fix client websites. I love teaching what I am passionate about and I love making those first few steps easier for the person learning it. Sarah: Was there a particular event or moment when you decided to pursue a career in STEM? Laura: To be honest, I fell into the technical side of web design rather unintentionally. I was always a graphic designer. But because I cared about how a design looked, I would find tools to modify the templates to my liking. I started out by customizing everything from MS Word templates to MySpace profiles and HTML newsletters. I broke it, fixed it, swapped out the graphics, and soon became the go-to person for technical troubleshooting. I can’t imagine getting started in tech any other way. For me it has always been about curiosity, trying new things, and finding a way to bend the thing until just before it breaks. As it turns out, that’s the dictionary definition of the term “Hacking.” Who knew? Sarah: What has been most important in terms of getting where you are today? Laura: The most important thing that I have benefited from is being location-independent. I’ve stepped away from a desk job several time throughout my career and I’ve never regretted it. I’ve met loyal clients who have continued to work with me while I lived in one place, or another, even while I was on a road trip for the better part of two years. The people I work for care about the work that I do, not the location that I do it from, or the degree that is on my resume, or a company name on my business card. Sarah: Did you have any mentors or role models growing up that led you to this career? Laura: I’ll admit that I watched a lot of TV in my teen years, and one of my absolute favorite shows was called Trading Spaces. If you haven’t seen the show, think of it as a mini version of “Extreme Makeover : Home Edition”. During an episode you’d see an interior designer lead an ambitious overhaul of one room in a house. The team would use some elbow grease and creative thinking to completely redecorate a room on a minuscule budget. Most importantly, they’d take risks! I know it may sound silly, but seeing strangers come together under a tight deadline to deliver a project like that, well, it was inspiring. While it might have seemed like pure entertainment at the time, it was also motivation to me to “think big” and make something with my two hands. It also motivated me to produce, direct, design and star in my family’s own Trading Spaces mock episode during the summer of 2002. As a result, I taught myself video editing software and I learned how to install a hard drive on my family’s computer. Sarah: Have you ever had any difficulties in your career due to your gender? How did you handle them? Laura: I am thankful to be able to say that I have not yet encountered a career roadblock due to my gender. But everyday I tiptoe closer to this reality. I am growing my business and hiring help, I’m also an entrepreneur, and my work is now squarely in the “web developer” category in a male-dominated industry. I’m aware that there may be a time when I’ll have to stand up for myself against a gender bias. Jessica Valenti puts this moment into words far better than I can: “Sexism operates more like a pickpocket than a mugger. You don’t always get punched in the face – instead you’ll be happily halfway home before you realize you’ve been robbed.” I hope that I’m ready to honestly speak up, if I ever realize that I just got robbed. Sarah: What advice do you have to anyone interested in a similar career? Laura: You can learn the very basics of a programming language in a few days, really. After that, the hard part will be to continue to use it. Practice! Use your newfound skill on a lot of different projects and learn something new from each one. Volunteer to build a website for your favorite local charity, or create a new internship at a company – the worst that they can do is say no! The best that can happen is that you’ll build a small portfolio and with your valuable skill you’ll soon have a career. In your career you’ll find that there are many opportunities to add another skill to your portfolio – do it! Sarah: In your opinion, how can we get more girls interested in STEM careers? Laura: Success looks different for everyone, but we need to be careful not to paint it differently to boys and girls. If a girl is inquisitive and great with math, we may quickly put her in a box that conforms to our ideas of what a woman would do with a skill set like that. A teenage girl who babysits four nights a week may not be a future mom or nanny, she may be an self-starting entrepreneur! A young girl who mixes mud, water and crushed leaves in a play kitchen may not be a great chef – she may be a future biochemist! The possibilities really are endless. Note to the adults too: We listen to the gender-biased opinion of others and we put ourselves in boxes too. Let’s not do that as much! Thanks Laura! We hope you found her story helpful, interesting and inspiring. If you would like to share your own story, please submit your information and we’ll be in contact soon! Sarah Worsham: In your entire career, what’s been your favorite job or project and why? Deborah Wheeler: My favorite job is the one I’m currently doing! I love Ally and the people I am privileged to work with daily. My favorite projects, regardless of company, are the ones where I’m building an information security department. I love the challenge of building a function that is so essential to protecting and enhancing a company’s reputation through the mitigation of risk. Deborah: There was no one particular moment when I decided to pursue a career in STEM. I started out as a fine arts major in college and wanted, for a very long time, to be a musician! I wound up in technology purely by accident, but I’ve never looked back. Deborah: The most important aspect of achieving my level of professional development has been experience. I entered the field of information security long before there were college majors on the topic. Having had the opportunity to speak in college classrooms on information security and at the high school level, it has become apparent to me that there are some careers that you simply cannot prepare adequately for in college. I believe that information security is one. It’s great to learn about technology and learn about hackers and malware from a contextual perspective, but until you experience it first hand and have to defend a company against it, it’s just not something that can be taught, in my opinion. When I was in college majoring in information systems and working full-time in the field, there was a marked difference from what I learned in the classroom and what we were actually doing in the business world. Sarah: Did you have any mentors or role models growing up that led you to this career? How did they influence you? Deborah: Growing up I did not have any mentors or role models in STEM careers. My mother was a home maker, and my father worked for the city we lived in. Neither had college degrees. While attending evening college, I worked full time for a law firm. As computers were just becoming prevalent for home use, my employers sent me to look at them for use in our business environment. Learning how to use them, and more importantly how they worked, was both fun and challenging to me and came easy. Shortly thereafter, circumstances required a move to another state during my studies, and upon transferring colleges, I opted to change my major to information systems. Sarah: Did you have to overcome any obstacles to get where you are? How did you do that? Deborah: OH YES!!!!! Attitudes about women in technology were very prevalent in the late 80’s and early 90’s. Working as an engineer in a telecommunications firm in the early 90’s was challenging in and of itself, but I was only one of 3 women in a department of 150. Sexual harassment was very common. Attending conferences in my chosen field was always “interesting” as there would be several thousand attendees, and I was easily one of the only women in the room. Snide remarks were rampant, and I learned early to develop a thick skin. By the late 90’s and the early 2000’s, it was becoming more commonplace to see women not only at those same conferences, but to also see more women earning technology related degrees and joining the work force in technology careers. The lessons I took away from those early difficulties of establishing myself in the field were to be true to what I knew I wanted and could do, find open-minded individuals who could help guide me on my chosen career path and teach me to think creatively about how to deal with naysayers as easily as they could teach me how to deal with difficult technical problems, and to never give up….no matter how many times you want to. Deborah: Earlier in my career, I had a particularly difficult sexual harassment issue that was handled well by the company; however, the individual in question was allowed to keep his job. The tension created by his overt actions and the subsequent reporting of it by another male co-worker, created a very tense environment for some time afterwards. But I never wavered in my desire to be professional in the workplace and to consequently continue to treat him with the same level of professional respect I held for him before the incident. Over time the tension eased, and shortly thereafter I left for another opportunity. Incidentally, it was our male boss who deserves the credit for handling that situation. I’ve encountered many wonderful men in my field who have both supported my goals and career ambitions and who have proved invaluable as mentors and role models. Deborah: My advice for anyone wishing to pursue a STEM career is to just do it! Like any career, having passion for the subject matter, I believe, helps you get through the difficulties, adds to your credibility in the long run, and distinguishes the individuals who are successful, from those who are not. Deborah: I think we need to stop talking about women in STEM fields as though it is an oddity or rarity. I doubt very much that there are similar discussions about men entering nursing careers, yet I would venture to guess that male nurses are about as rare as women scientist or engineers. Perhaps more so. Young women can do or become anything they want. But in order to believe this, I think we, as their mentors and role models either officially or unofficially, need to stop talking about STEM careers as though they are unachievable by women, or as though women will experience tremendous difficulties in pursuing them. We need to treat them for what they are… another option on the table for talented, intelligent young women to pursue. Thank you so much Deborah! We hope you found her story helpful, interesting and inspiring. If you would like to share your own story, please submit your information and we’ll be in contact soon! Kate Snyder is the principal strategist and owner of Piper & Gold Public Relations, a boutique PR agency in Michigan. She and her team work with organizations like government agencies, nonprofits and small businesses to help them figure out how to connect with people. Technology is a huge component in this — technology allows people to connect in a whole new set of ways and she works with organizations to help them take advantage of digital tools like social media, blogs, software tools and more to build meaningful relationships. Kate also co-founded Domestic Slice, a lifestyle blog. Kate shares her story with us…. Kate Snyder: One of the organizations I volunteer and work with is Impression 5 Science Center. I spent eight years in communications at a government agency that worked on helping people connect with jobs, so I saw on a daily basis the importance of STEM education. Working with I5 is fantastic in so many ways — I know it’s important and makes a difference, but it’s also just super fun. I mean, you get to play with bubbles. Bubbles at work? Yes, please. Sarah: Tell us about the 2020 Girls program. How did you get involved with it? Kate: We’re fortunate to get to work with ITEC — the Information Technology Empowerment Center — as one of our clients at Piper & Gold. We came on just as this new program, 2020 Girls, was starting. It’s been such a cool experience to get to be a part of a program that’s so close to my heart. I was always told growing up that math was hard. It wasn’t until years later that I realized it wasn’t hard for me, I just perceived it to be. In actuality, I’m a huge data geek and love the numbers side of business. I feel like if I’d been a boy, I never would have been “sheltered” from math. Giving these girls a chance to connect with other women telling them, “You can do this. This is meaningful,” is such an important and powerful thing for them to hear. Kate: I really grew up believing I was bad at math and science. My grades didn’t support that theory but I just believed these were supposed to be hard. I’ve always been involved in music and theater and people were constantly telling me I should study music or art or writing in school. In the end, I studied all of them and got a liberal arts degree. It wasn’t until I got into PR and starting using all of these phenomenal digital tools that I realized I was a part of the STEM world. I use technology on a daily basis to do my job and advance my company and my field. I use all of these “hard” things and I really enjoy it. Kate: I was fortunate to work under mentors who gave me a lot of responsibility and freedom as it related to my positions and I think that’s made a huge difference. I’ve always had a very “figure it out yourself” kind of mentality as it relates to work and having the freedom to do my job and earning trust as a leader has been huge. Kate: Early in my career I had several very traditional mentors — mostly my bosses. Now, as an entrepreneur, I find myself looking up to and gaining so much from peers of mine in entrepreneurship. It’s such a unique and different work experience to own a business, to have people counting on you, to be the end of the line on every major decision — it’s been so critical for me to have these peers who have a shared experience in entrepreneurship. Kate: I look young. I’m blonde. I’m “perky.” I remember as far back as high school having a (male) teacher who called me Barbie, a moniker that was repeated most of my life including on a feedback form from a student at a college at which I teach. “It was nice getting to look at Malibu Barbie all semester,” was the exact comment. You don’t forget that comment. I’ve been called “little girl” and “sweetheart.” Once a guy actually patted me on the top of my head. I wanted to punch him. Kate: I feel like the world of social and digital media is one of the areas of the tech community where you can find a huge base of female colleagues and coworkers, and I love that about it. I also think that it’s important for all of us to be well-versed in the STEM disciplines regardless of our intended career path. When I first started off to be a writer, I never realized how heavily software and digital platforms would affect what I do, nor did I recognize that as a small business owner, numbers would become my life. STEM is everywhere. Kate: I think we need to break down the stigmas that these disciplines are harder than anything else you’ll do. Being awesome at ANYTHING is hard. Get over it. Being awesome is also fun and rewarding, whether that’s in engineering or music. Thanks Kate! We hope you found her story helpful, interesting and inspiring. If you would like to share your own story, please submit your information and we’ll be in contact soon! Jessica Kirkpatrick is the Director of Data Science for an education tech company called InstaEDU. InstaEDU offers on-demand, online tutoring for high school and college students. She helps people in her company make decisions and improve the experience for their students and tutors by analyzing the data that is collected through their website. Jessica has a PhD in Astrophysics and spent many years studying dark energy in the cosmos before switching careers to data science. Jessica is also the Blogger-in-Chief for Women in Astronomy as part of her membership of the American Astronomical Society’s Committee for the Status of Women in Astronomy. As blogger-in-chief she manages and edits the posts from their eight regular contributors and guest bloggers. She regularly writes blog posts for Women in Astronomy and Astrobetter about Women in STEM, the tech industry, and best practices for coding and data visualization. Jessica shares her story and insights with us…. Sarah Worsham: Please tell us what your day-to-day is like. Jessica Kirkpatrick: I spend most of my time trying to answer questions for other people within my company using our data. I answer questions like: How can me make the experience better for our users? Which users are most valuable? What makes users return to our site? What is most important in retaining users? What subjects are we serving well / not well? Which advertising campaigns are working and which aren’t? What do we expect our growth/revenue to look like moving forward? What is the life-time value of our customers? I answer these questions by doing statistical analysis of the data we collect using a programming language called python. I create visualizations of the data that can be shared with others in the company and investors. My day involves pulling data from our database, reducing it, analyzing it, and communicating these results to others within the company. I also build tools and visualizations so people in the company can monitor how the site is doing automatically. Jessica: I really enjoy working in tight-knit teams and collaborating with others. The highlight of my day is when one of my coworkers is struggling with a problem, and I can help them solve it using data analysis. Jessica: I have always been fascinated with understanding how things work. My favorite subjects in school were math and science. But I really knew I wanted to become a scientist when I took high school physics. It was the perfect combination of problem-solving and math. It felt like solving puzzles all day, I just absolutely loved it (and still do). Sarah: What sparked your interest in astrophysics? Jessica: During my freshman year at Occidental College, I learned about dark matter and got involved with a professor who was doing astrophysics research. I became really fascinated with the make up of the universe, how it was created, and what it’s eventual fate would be. I continued to study astrophysics for the next twelve years, and my PhD at Berkeley involved the study of dark energy. Sarah: You moved from academic research to the tech field… Was there something that sparked this change? How did you make the transition and what insights can you share with others about making such a career change? New Challenge – I had been doing astrophysics research for 12 years and I was ready for a new challenge. I felt like I would learn and grow more by switching to the tech industry than I would by staying in academia. State of the field – Because data science is a newer field than astronomy I have the opportunity to make a bigger impact and do more innovative work. I am excited to be one of the pioneers in this field. Work environment – My research work was isolating and solitary. I wanted to work in an environment that was more collaborative and team based. I also found the pace of academic research to be a little slow. Because most work is done for the purpose of publication, the level of rigor and depth of analysis is quite intense. This means projects can go for months or even years. In the tech industry projects tend to be fast-paced and less in-depth. This is a better fit for my personality and work style. Location – I wanted to stay in the San Francisco Bay Area where my family lives. There are lots of tech jobs here, but very few astrophysics positions. Finances – My initial salary offers for tech positions were 2-3 times more than my initial salary offers for academic positions. Lifestyle – I was tired of working evenings / weekends and feeling like my job was never done as an academic/researcher. I wanted a job that was challenging and fulfilling, but also would allow me more work-life balance. In terms of making the transition, I have written about how I did this in several blog posts on Women in Astronomy. I suggest readers look at those posts if they are interested in learning more about how to break into the tech / data science field. Sarah: What aspects of your career, schooling and experience helped you get the job you’re at today? Jessica: While studying astrophysics I spent a lot of time solving problems and trying to find patterns in data. I became really comfortable with math, statistics, and computer programming. I also learned a lot about visualizing data and communicating complicated results to people. All of these skills helped me make the transition into the tech industry and obtain my current job. Jessica: My high school AP Physics teacher, Andrew Elby, encouraged me to pursue physics and become a scientist. I remember going in at lunch to talk to him about some physics problems, and he said to me: “You have a real talent for this, you should consider majoring in physics.” No teacher had ever said anything like that to me before, it gave me the confidence to pursue a degree in physics even though I knew it was a “hard” major and that there weren’t many women who studied it. Andrew is now a physics professor at the University of Maryland, and continues to mentor me to this day, there were many times during graduate school when I struggled and would call him for support. It makes such a difference to have someone believe in you and be your cheerleader through difficult times. I also was really inspired by my mother growing up. She has her PhD in psychology and was able to perfectly demonstrate being a very successful career woman while also having a healthy and balanced home life. It was such a blessing to have her as an example and I continually try and emulate her in my adult life. Sarah: Are there any skills or courses that have been more useful than you initially expected? Jessica: Teaching has been an incredibly useful skill. I started tutoring and teaching physics and math as an undergraduate, and I still teach through my company’s web site InstaEDU. I don’t think I ever truly understand something until I have to explain it to someone else. Because so much of my current job is explaining complicated analysis to various people within my company, the skill of breaking down problems and explaining them to non-experts is incredibly valuable. Also becoming comfortable talking in front of the classroom really helped me with my presentation and public speaking skills. I used to get so nervous when I had to talk in front of people that I would visibly shake. Now I frequently talk in front of large groups and actually enjoy it. I never had done any computer programming until I was an undergraduate at Occidental College. Many of my peers had been coding for years and I felt very behind. But I spent a lot of time learning how to program both through classes and independent study projects, and it’s been one of the best skills I have ever learned. There are so many amazing things you can do with a computer, and learning how to code has opened up so many job opportunities for me. It’s also a lot of fun to get a computer to do work for you. Things that would take forever to do by hand can happen almost instantly by writing computer programs to do it for you. Jessica: I have a learning disability which makes it very challenging for me to read and write. For a long time I just thought I wasn’t very smart and that was why things took me so long. I was able to make real breakthroughs in high school when I started working with an educational therapist who specializes in learning disabilities. My educational therapist helped me understand where my strengths lie and how to accommodate my weaknesses. He also helped me realize that I could more effectively process written words by using books on tape or having my computer read text out loud to me. Because of my learning disabilities, my PhD took a little longer than average and I am totally ok with that. I think it’s important to forge your own path, and go at a pace that feels right for you. I’m glad I took extra time to complete my schooling, but was healthy and had balance in my life during that time. Jessica: I have experienced sexist remarks and sexual harassment during my career. When I was younger I had a difficult time knowing how to respond when these things happened. While a graduate student at UC Berkeley I was the head coordinator for the Society for Women in the Physical Sciences and through work within that group I learned a lot about how to combat these issues and discuss them in a direct and productive manner. Now when someone says something that makes me uncomfortable (or that I think is discriminatory) I address it head-on. As a result, I rarely experience problems these days, or if I do experience a problem, it is usually resolved quite quickly and doesn’t escalate. I write a lot about how to combat harassment, gender bias, imposture syndrome, bullying, and other issues that women in STEM face on the Women in Astronomy blog. Jessica: There are lots of ways to get involved in the tech industry and gain experience with data analysis. Go to a tech meet-up or hack-a-thon. Do a Kaggle Competition project. Take a course on Google or Coursera. Do a summer internship with a tech company. Or just try building your own webpage or app. There are lots of small tech companies that would love extra help. Check out AngelList for opportunities. Sarah: You’re very active in helping women and girls in STEM careers. Is there anything you think parents should do to encourage their children to be interested in STEM? Jessica: I really would encourage parents to expose their children to a lot of different activities and subjects regardless of their gender. My parents weren’t astronomers or athletes or artists, but they exposed me to all those things growing up and encouraged me to explore many different interests. 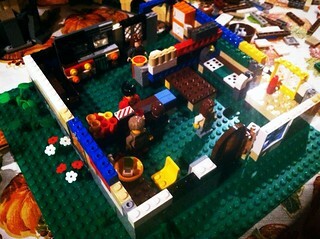 I played with Barbies and Legos. I conducted experiments and baked bread. I played basketball and made quilts. One of the reasons I do STEM outreach and education is I want the next generation to see that engineers and physicists are not just old, white, men… but come in all ages, races, and genders. I have participated in programs like Expanding Your Horizons, Girls Inc, and Women 2.0 and find them very rewarding. Thank you Jessica! We hope you found her story helpful, interesting and inspiring. If you would like to share your own story, please submit your information and we’ll be in contact soon! Sarah Worsham: What’s the creation story behind Signing Savvy? Jillian Winn: My passion is to use technology to create user experiences that improve the quality of life for others. I had worked on a range of web and software products and knew I wanted to use my expertise to build something that could really help people. I joined my husband, who had worked on multiple sign language products in the past, and a sign language expert because we saw a need for a better online sign language learning resource. Together, we built Signing Savvy, which started out as a sign language video dictionary, but has grown to be a comprehensive sign language learning resource. At first glance, Signing Savvy may appear to be a sign language company, but it is also a technology company – deeply routed in using technology to offer sign language learning resources. Sarah: How have you managed its growth? What sorts of obstacles have you had to overcome? We have had to upgrade our hosting services multiple times to support the additional traffic and keep Signing Savvy running optimally. We created iOS and Android Apps that our members can use to access Signing Savvy on the go. With more users, we receive more customer support inquiries. We had to allocate more time to customer support and create more customer support resources, such as a Frequently Asked Questions section on our website and video tutorials. We wanted to do a better job of communicating with our users, so in addition to our blog, we started sending out regular email newsletters with learning tips and news related to sign language and deaf culture. We also started and continually try to grow Twitter and Facebook social media presences for Signing Savvy. Sarah: If your wildest dreams came true, what are your hopes for Signing Savvy? Jillian: We hope Signing Savvy can become an all encompassing resource for all things related to American Sign Language. Specifically, we would like to create more of a community within Signing Savvy where people can connect with others who sign. Another hope is to build to the resources on Signing Savvy for teachers so that there are more tools that help teachers teach sign language and strengthen the communication between school and home – to help parents know what signs their children are currently learning and learn sign language along with their children. Over 90% of deaf children are born to hearing parents, so it is especially important for parents to learn sign language along with their children so they are encouraging their children to learn sign language and so they can communicate with each other using sign language. Jillian: I can’t think of a particular moment that made me want to pursue a career in STEM. I think the most important thing was that I was always told that I could do anything I set my mind to and that I could be anything I wanted to be. My mom and grandparents encouraged me to do a summer youth exchange program to Italy when I was in high school and traveling abroad on my own as a teenager gave me confidence and independence. The experience and meeting peers in the youth exchange program from places across the world with different dreams than my own, opened my eyes to the vast opportunities available the world has to offer. Jillian: Determination. There are always people who won’t “get it” – what you do, what you want to do, what you think you can do. At the end of the day you have to listen to yourself, believe in yourself, learn who to trust, work hard, and take calculated risks. There will also be times when you may fail, but there is a lesson to learn in any failure and you just have to try again. Jillian: I was really lucky to work for two different strong, intelligent women during college, one during my undergrad and one during graduate school. They were great leaders and hard workers. I learned from their examples, but they also provided me with great opportunities to learn and grow within STEM positions. I worked hard because they worked hard and gave me responsibilities. I learned that I was (and am) a valuable asset to a team because they had high expectations of me and gave me their trust. To help girls go into STEM fields, women in STEM fields need to do as my role models did with me – provide opportunities, give support and guidance, and put your trust in the next generation of women leaders so they can learn from you. Jillian: I’ve definitely been prejudiced against for being a female and, in the past, for my age. In my mid-twenties, one senior level executive once said to me in a meeting that he wouldn’t value my opinion any more than he would value his college-aged daughter’s opinion. It’s ok to not like me or not like something I said, but the statement was inappropriate for a variety of reasons. After ranting to a friend afterwards, she said, “At least you’re not his daughter, clearly he doesn’t value her opinion,” and it was true, it could have been worse – he wasn’t my father, my boss, or someone I would have to work with regularly. I had the luxury of biting my tongue and never interacting with the person again, however, there may be times when you may not have that luxury or when the person is someone you see or work with often. Every situation is unique and you have to learn what to let go and when to stand up (speak up) and fight. The best advise I have is to not react in the heat of the moment based off of your raw emotions, you don’t want to stoop to the other person’s level and act inappropriately just because that’s how the other person behaved. Prove them wrong with your actions and by being a success. Report the issue or ask for help when it is appropriate; listen to your gut. Jillian: You’re never too young to start. Be open to opportunities and try new things. Find the opportunities available at your age or make new opportunities by asking someone for help. Go to summer camp, study abroad, shadow other’s in the field you’re interested in, take an internship, start off in a entry-level job in a department or company your interested in learning more about and work hard. Jillian: There are two important parts to getting girls interested in STEM careers: (1) Expose them to opportunities, so they know what exists, and (2) Instill confidence in girls and teach them to be a leader, no matter what they want to do when they grow up. Leadership isn’t about being a boss or being bossy, it’s about having confidence in yourself and listening and helping others to grow and be better. Thank you Jillian! We hope you found her story helpful, interesting and inspiring. If you would like to share your own story, please submit your information and we’ll be in contact soon! It doesn’t have to be all work and no play in the world of STEM. Sarah Frisk is a software developer by day and a comic artist by night. She shares her story about how she keeps up with both, how she became a software developer and advice for others interested in a similar career path. Sarah Worsham: What type of work do you do as a software developer? Sarah Frisk: I work as a software developer at a company called Portland Webworks. For the most part I specialize in front end web applications, but I do work with backend technology such as java and php as well. Worsham: What’s your day-to-day like? Frisk: First thing in the morning, caffeine. I’m not so much of a coffee drinker, but I love tea – so I’m normally pretty useless until I’ve had my chai latte in the morning. After that it’s 8 hours of coding, lately on just one or two projects, working with a small team. During my lunch break I’ll draw or surf the internet. Once work is done I’ll either drag myself to the gym, do some tabletop gaming with my friends, or work on my webcomic (be in art, or lately, a complete website redesign). I’ll pass out sometime around midnight to 1am, and then rinse and repeat. Worsham: In your entire career, what’s been your favorite job or project and why? Frisk: Ooo, this is a tough one. I tend to like parts of projects, especially when they give me a chance to explore new technologies I haven’t had a chance to explore yet. But I don’t know if I’ve had a favorite project overall. As for jobs, that would be my current one. Seriously, I love the people I work with. They’re pretty awesome. Worsham: Was there a particular event or moment when you decided to pursue a career in programming? Frisk: When I was in middle school, my parents sent me to Math and Science Camp all the way up north near the border of Maine and Canada. The second year I went (I went there for about four summers), I decided to take the Web Development class. It was pretty much only HTML and some very basic inline styling, but I finding the whole thing fascinating. When I got home and told my parents about it, my father (who was a computer teacher at a middle school) brought home a book on HTML4, and encouraged me to explore my interest. A couple days a week after school, I would come home, and work on websites that would never actually see the light of the internet, only to start completely over again, when I learned of a new technique I wanted to explore. By the time I hit college, it no longer was just a hobby, but something I realized I wanted to continue doing full time. Worsham: Did you have any mentors or role models growing up that led you to this career? How did they influence you? Frisk: While growing up, it was mostly my parents. They were very encouraging of me exploring hobbies that interested me, and were willing to provide the means to help me explore those interests. Frisk: As much as I love computers, near the end of college and after I found myself missing the right-brainy stuff I used to do. I had a degree in English I wasn’t using much, and I wasn’t doing anything with music, acting, or art I used to do before college. Coding had pretty much become my life. So I started to draw. I had always been a huge doodler, my notes from classes were covered with them. At some point the idea of a comic about tavern wenches struck my fancy, and I became obsessed with the idea of it. Of course it took me three years before the idea moved out of a sketchbook and became a webcomic. I was especially drawn to the idea of a webcomics mostly because it was the blend of coding, art, and writing. It was the perfect mix of different passions, because there are just so much you can do with webcomics that you can’t necessarily do with print – more if you actually know how to code. So webcomics pretty much became the perfect way for me to mix both the logical and creative sides of my brain together. Worsham: Tell us about your favorite comic or drawing so far. Worsham: How do you balance fulfilling your potential as a programmer as well as a comic artist? Frisk: I stay up reaaally late. Pretty much daytime is devoted to focusing on developing as a programmer, and evenings are spent developing my webcomic (although it varies if I’m focused on the art side or the coding side). I find giving myself a schedule to follow helps a lot too. Worsham: What was your favorite game or toy growing up? Why? Frisk: I’ll be honest, it was somewhat of a tie between Barbies and Legos. I used to pretend my Barbies were super secret spies going on top secret missions, or I used to find plays and have them act out all the parts with me as a director. I even had different voices I used to use for each character. As for Legos, what kid (or adult) doesn’t like Legos? I used to make castles, spaceships, forts, you name it. Whatever I wanted to build, I could. To this day I still can’t help myself when I walk by a Lego aisle in a store. If it weren’t for the fact I have to firmly tell myself that my apartment really doesn’t have the space for a giant Lego set, I would still probably buy Legos to play with. Worsham: Have you ever had any difficulties in your career due to your gender? How did you handle them? Frisk: Thankfully not so much, any gender issues I’ve had have normally been outside of my career. The area where I work tends to be pretty positive about female programmers. Although there still isn’t a whole lot of us yet; or at least not many I’ve seen interacting with the local programming community. I’m hoping to improve that though! Worsham: What advice do you have to anyone interested in a similar career? Frisk: Don’t wait, explore now. Believe me, when it comes to programming, there is plenty of information out there. There are some really good sites especially for web development that you can find with a pretty simple Google search. Find a pet project that you’re interested in, and teach yourself through that. Nothing can help you learn faster than building something you’re passionate about. Also check to find if there are any local meetup groups. In my experience, it’s always been a great place to learn new things and meet some really interesting people. Worsham: In your opinion, how can we get more girls interested in STEM careers? Frisk: By teaching girls at a young age that technology isn’t just a boy thing. It’s a girl thing too. I do think this is a shift that IS happening – I see more and more girls today playing video games than I did when I was a kid. And gaming can be a stepping stone into wanting to figure out HOW games work, and if a girl expresses interest, help her explore that interest. There are plenty of tools (and games) out there that can help a kid create a game while learning the basics of programming. Have more STEM related after school activities, for those who want to explore more outside the classroom. Goodness knows I wished for more computer activities! In the end it really comes down to if a child expresses interest, help give her the tools to explore that interest and encourage her to do so. Be it a science, technology, math, english, languages, politics, music, theater, or whatever. Because it’s the that unhindered exploration that leads to a lifelong passion. Thank you Sarah! We hope you found her story helpful, interesting and inspiring. If you would like to share your own story, please submit your information and we’ll be in contact soon! The lack of women gives the tech industry, and particularly the open-source portion of it, a distinctly sexist feel. Despite these sad statistics, it is absolutely possible for a woman in the field to go far and have a fabulous career. So we asked the Linux Foundation, the granddaddy of all open-source projects, to give us a list of stand-out women doing fabulous work.